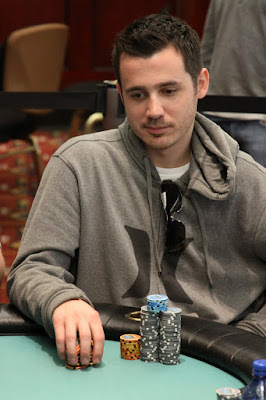 The heads-up deal between Willy Santiago and Brett Taylor awarded Santiago with $58,475 and the trophy. "Big Willy" Santiago is officially your champion of the 2010 May Mega Stack Challenge Main Event. Congratulations to all of our players and winners!!! Santiago took the lead on the flop with a pair of queens. 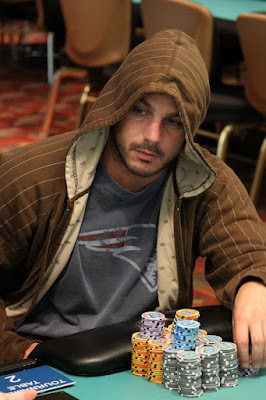 The [Js] on the turn and [7s] on the river did not improve Campo's hand and he was eliminated in 3rd place. Tournament officials are coloring up the orange 1K chips. The blinds are being increased to 20K-40K with a 5K ante. The board ran out [Jc][5c][5s][4s][7c] and Santiago's tens held up to win the pot and eliminate Potseluev in 4th place. Lambiase had flopped a set of fours but Taylor had the nut flush draw. The turn was the [6c], giving Taylor the flush and the lead. The [3h] on the river was no help to Lambiase and he was eliminated from the tournament in 5th place. Break Time with 5 Players Remaining. The remaining five players are now on a 10-minute break. 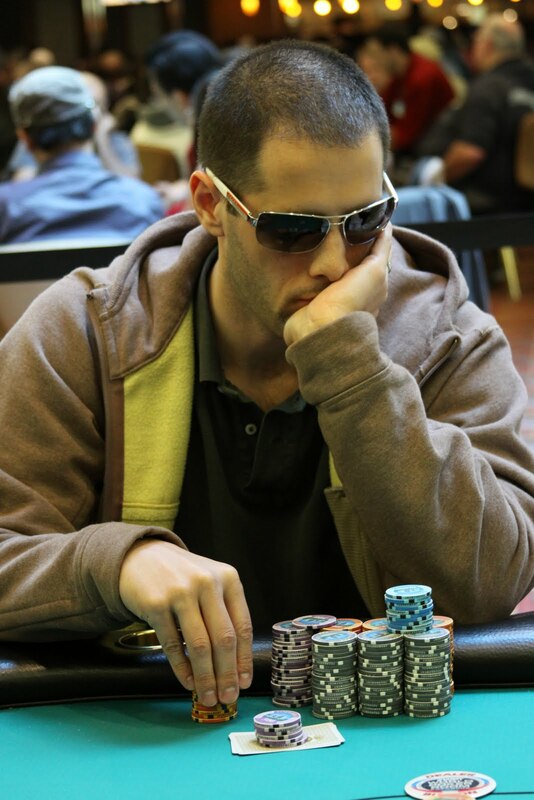 When play resumes, the blinds will be increased to 15K-30K with a 4K ante. 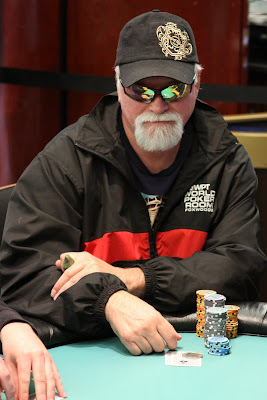 After being crippled in a huge hand by Wilfredo Santiago, Michael Woods was just eliminated from the tournament after getting all in with [8s][7s] against the [5d][5h]. 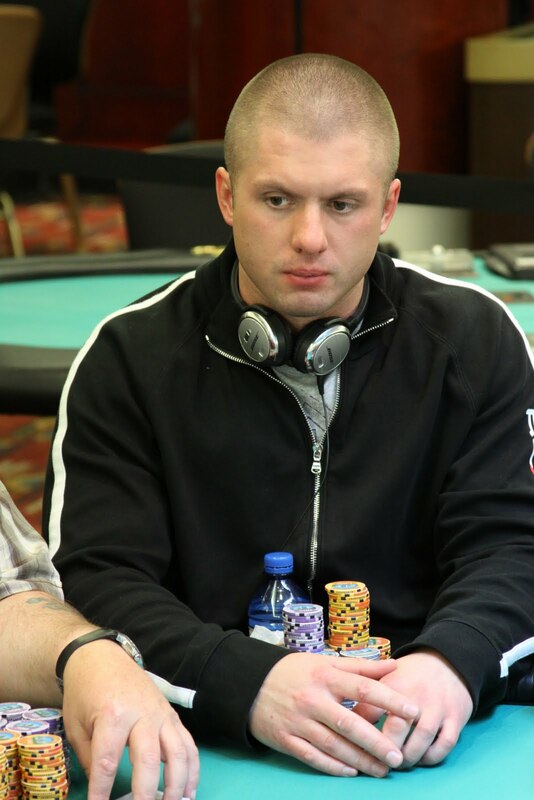 The board ran out [Ad][Kh][Js][9h][2d] and Woods was eliminated from the tournament in 6th place.